Price Drop! Was: $149.95 Now: $54.95. For a limited time only, while stocks last. 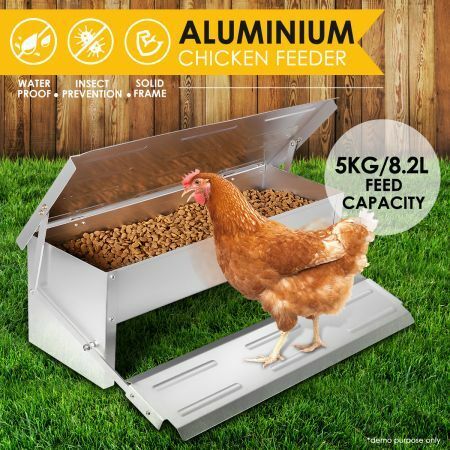 Keep you Chicken feed safe with the Auto Chicken Feeder. The feeder will keep your chicken feed safe from rain and rats, allowing your chickens to eat well and in peace. It opens when the chickens stand on the panel, so you can train your chickens to open it. Holds 5KG/8.2L worth of feed giving your chickens an ample supply to eat. The feeder is made of durable rust proof aluminum steel and will survive the elements. If you are a farmer or own chickens this feeder is for you.